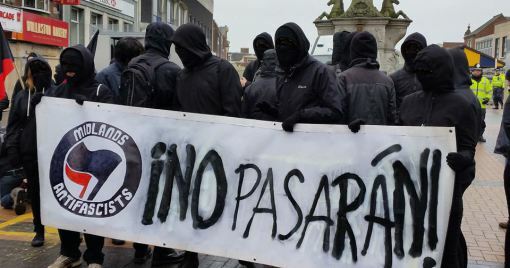 Antifascist Network report and thoughts about the Dudley demo. Some brief reports and thoughts from Dudley at the weekend. Local and national media mostly seem to be repeating the police’s figures of 600 EDL and 50 anti-fascists. There are some divergences from this. Some media organisations estimated up to 1000 EDL. The UAF stated there were “several hundred” at their counter-demonstration to the EDL.